The CWR is a 20000 hectares territory in the vicinity of Khosrov Forest State Reserve. The Khosrov reserve as well as adjacent territories is a core area for South-Caucasian biodiversity and rare wildlife species as Armenian Mouflon, Syrian Brown bear, Bezoar goat, Black Eurasian vulture, Bearded vulture, Caucasian Leopard, Caucasian Lynx and Armenian viper.The area of FPWC’s Caucasus Wildlife Refuge also forms a corridor for the mentioned species. The wildlife is continuously monitored by 4 rangers and trap cameras. While in 2010 wildlife in the area was nearly non-existent – mainly due to illegal hunting activities – trap camera footage now shows regularly huge quantities of Bezoar goats as well as pictures of large predators like wolves, bears, lynxes and even a Caucasian leopard of which only about 8-13 are left in Armenia according to IUCN Red list. The WRC is the first rescue centre in Armenia founded by FPWC in cooperation with RA Ministry of Nature Protection and RA Ministry of Emergency Situations. 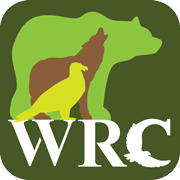 The WRC’s mission is to rescue and care for all injured wild animals, including native, rare, common or exotic species. Orphaned, displaced, injured and mistreated species are being rehabilitated and given proper treatment under the care of a specialized staff. Founded on May 6th, 2016, the newly opened Wildlife Rescue Center is located in Urtsadzor community of Ararat region far from local settlements and people. 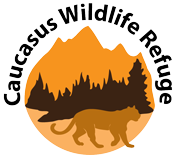 The FPWC works with rural Armenians, students and policy makers to build respectful relationships between people, nature and cultural heritage while managing the Caucasus Wildlife Refuge (CWR). 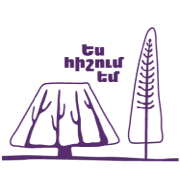 The FPWC founded SunChild EcoTours to include tourists in our movement, create economic opportunities for rural Armenians, and to build a fair and sustainable tourism niche in Armenia. This annual colorful contest enables the worldwide spread young Armenians to unite and to express their environmental ideas and concerns through pictures. As a result, the environmental issues get color and content and become more powerful and sobering. Organic agriculture/horticulture, marketing of agricultural products, agro-tourism, eco-tourism, guesthouses, arboriculture, sustainable accumulation of wild plants; in the investment and development perspectives of these and many other spheres to ensure a steady income for the community cluster of more than 5000 people. The Fund has an innovative purveyance point for rural products, where such products likes herbs, fruits and honey offered by Urtsadzor community cluster’s households are collected, processed and packaged. The practical part of this project was preceded by trainings and workshops, during which the locals were provided by necessary knowledge on business project development and implementation. More than 100 representatives of the target group of the community cluster gained a complete understanding on organic agriculture, eco and agro-tourism, as well as got necessary skills of English language and computer skills. 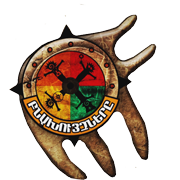 FPWC established the SunChild Eco-club Network throughout Armenia in 2006 with the mission to bring up a new generation with the capability to perceive environmental issues and find ways to solve them. SunChild Eco-clubs are independent institutions offering free of charge after-school environmental education to teenagers between the ages of 12 and 20. Since 2006, approximately 2000 youths have passed through the environmental education courses. Though the basic pedagogical tools used in the SunChild Eco-clubs are photography and filmmaking, FPWC has developed and tested a curriculum that incorporates lessons in a broad range of subjects including citizen journalism, ecology, eco-tourism, English and computer skills. Supervised by FPWC specialists, children learn wildlife photography and shoot their own films dedicated to local environmental issues. The project aims to reduce pollution and protect the environment by using alternative energy resources, particularly solar thermal systems and LED street lights. As Armenia has a good potential for solar energy, investments in alternative and energy-efficient technologies can significantly benefit to the solution of environmental and social issues. The project is a new format of the long-term cooperation between the Foundation for the Preservation of Wildlife and Cultural Assets (FPWC) and VivaCell-MTS in the field of environmental protection and sustainable use of natural resources. Since 2010, the Flower Gathering has been supported by the FPWC’s General Partner VivaCell-MTS. Armenia’s first wildlife show ever! The program broadcast in 2010. “The Explorers” was Armenia first wildlife show ever. Throughout the ten episodes of the program, six teenagers had their physical and mental strength tested as they attempt to cope with the challenges of surviving in Armenia’s remote wilderness. During the trip, the six not only crossed wild rivers and climbed high mountains but also were asked to identify plants and observe rare animals. Moreover, they discovered cultural sites and gain insight into their forefathers’ beliefs and culture. During more than 3 months women from Urtsadzor, Shaghap and Lanjanist communities of Ararat region took part in training courses of Eco-tourism, Marketing of homemade products and Sustainable management of small business. 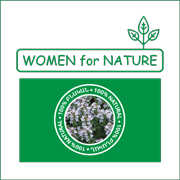 The aim of the project was to support women from rural areas to find new resources of income based on the sustainable use of natural resources. The project was funded by the Organization for Security and Co-operation in Europe (OSCE). 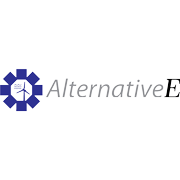 The purpose of the project is to spread the use of alternative vehicles, in particular, the electric bikes, which exclude the emissions of greenhouse gases. Due to the existence of electric battery, the electric bikes, unlike the conventional bicycles, are suitable for the frequent use on Yerevan relief and weather conditions. The electric bicycles (E-bikes) are suitable for the everyday use and are appropriate for the Armenian topography. Due to the existence of the motor, the exerted efforts are waning and the long-distance movement becomes easier. As a result, the role of E-bikes increases in the sphere of deliveries, in organizing trips and tours. The testing of E-bikes in various spheres of economy is a component of the project. It enables organizations to determine the appropriateness of E-bikes in practice, as well as to get free consultation choosing the appropriate technical standards. The overall objective of the project is to register and preserve endangered cultural assets in the remote border regions of Armenia and Georgia with the involvement of local citizenry. Involvement of local communities will in its turn promote economic, social and cultural development in the areas, covered by the project. SOS Culture relies on the active involvement of youths from different national and ethnic origins living in the target areas of Armenia and Georgia. The young people participate in protection and research activities, implemented in the vicinity of their villages. 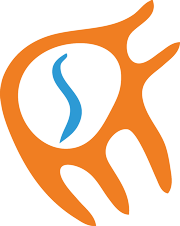 SunChild International Environmental Festival has been organized annually since 2007. The festival program includes wildlife and environmental films from all over the world, workshops, exhibitions, media campaigns and other events designed to raise awareness about the growing global challenge of nature conservation. The festival takes place every autumn, however the events “travel” in the regions of Armenia throughout the whole year, involving a large number of children and youth, facilitating identification and creative solutions of community environmental issues by organizing thematic film screenings, discussions and other initiatives, encouraging and supporting to take action locally. The SunChild International Environmental Festival is the 1st and so far the only on in the South Caucasus region.